Choosing the right flooring type for the various rooms in your home is one of the most important decisions you’ll make during a home remodeling project. To choose well, consider the challenges that each room in your house faces on a daily basis. The flooring in your master bedroom should coordinate with the flooring in your master bathroom. Laminate, tile, wood or plush carpeting can all make your bedroom interior design ideas a reality. If you end up choosing a hard surface, consider using rugs. For family bedrooms, you can afford to be more creative with the flooring, particularly for children’s rooms. Laminate is a good choice because it comes in many designs and can stand up to excessive wear and tear. +can also add value to your home. Consider using prefinished wood planks for your floor installation because the factory-applied finishes are usually stronger than the finishes a contractor might apply to unfinished wood. Bathrooms don’t get constant foot traffic or sunlight, but they do get a lot of moisture. As one of the top home remodeling contractors in our area, we recommend porcelain tile. It holds up incredibly well in moist areas and you can also use porcelain tiles for barrier-free showers. There are also textured porcelain tiles that are less slippery. If you need a more affordable alternative, then choose vinyl tiles. The kitchen can be one of the busiest rooms in a house. 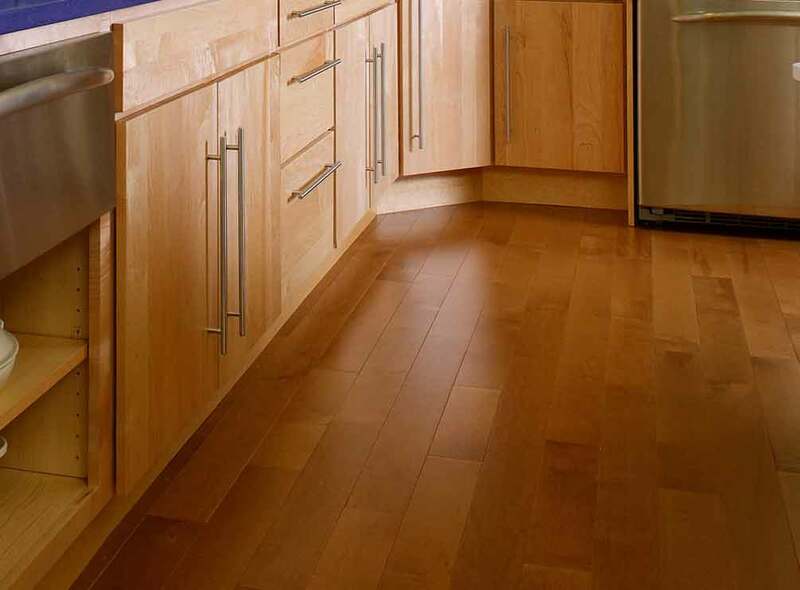 The flooring in your kitchen needs to withstand foot traffic, moisture, falling pots and pans, spills and much more. Wood is beautiful, but the kitchen needs something more durable — which is why porcelain tile is better. Porcelain tiles come in a wide range of designs and colors to easily match your kitchen decor. They are also easy to maintain and clean. DreamMaker Bath & Kitchen of Elizabethtown can help you choose the right flooring for the different rooms in your home. We have many years of experience and we’ve worked on all kinds of homes. Our team is dedicated to ethical excellence and superior craftsmanship, so you can count on us for a smooth and stress-free home remodeling experience. Call us at (717) 298-3830 or contact us here to learn more about our services and products.